Microsoft has done something which even they never had assumed: Free Windows! Last month, we had reported that Microsoft may offer free Windows in future, as some leading technology sites had speculated about this possibility. But now with this official announcement, it is clear that Microsoft has transformed itself and is willing to go for the free route as well. As per the announcement, Microsoft will provide free Windows to any device which is less than 9 inch. This is certainly a big change in the strategy of a company which thrived on the usage of licensed software all through these years. This announcement was done by Terry Myerson, who heads the Operating System division inside Microsoft. One special consideration here: Although Microsoft has announced that Windows would be free, the end users won’t be able to download it and start using it on their mobiles or tablets. This free option is only available for the hardware manufacturers who are planning to create and sell devices based on Windows OS. Tech specialists are stating that this is a move which Microsoft had to make, considering the challenges thrown in by Android, which is a open source OS. Anyone can download Android and use it as per their wishes, without spending a penny. And this open source movement by Android has enabled them to become the most popular Operating system for mobile and tablets. Microsoft understands this concept of open source operating system has helped Google to own the entire ecosystem; using which they have promoted their search engine, application marketplace and more such services. Another masterstroke which Microsoft has played with this move is the focus on Internet of Things. As per recent reports, more than 26 billion devices would be interconnected via Internet of Things by 2020, and this represents a huge mind blowing opportunity for a company like Microsoft. Most probably, the same code which runs Windows 8 can be used to run such interconnected devices on Internet of Things as well. 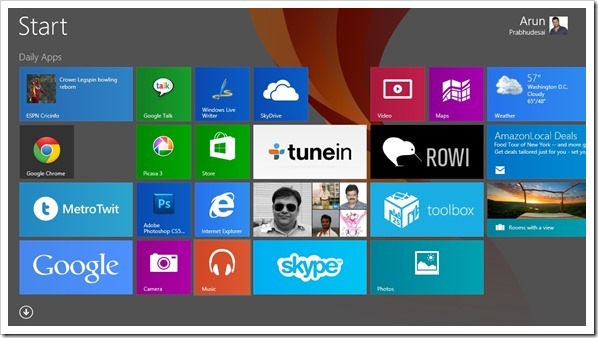 Although Microsoft says that this can only run mobile apps and not desktop software. On the same hand, the company has announced that they are working on a new system to build apps which can be run on mobiles, desktops and Xbox; which means that the gap is slowly closing. Do you believe that this free Windows offer by Microsoft will help them counter Android? Do share your views!